Dr. Jennifer Mutchler graduated from The Ohio State University College of Veterinary Medicine in 2009. 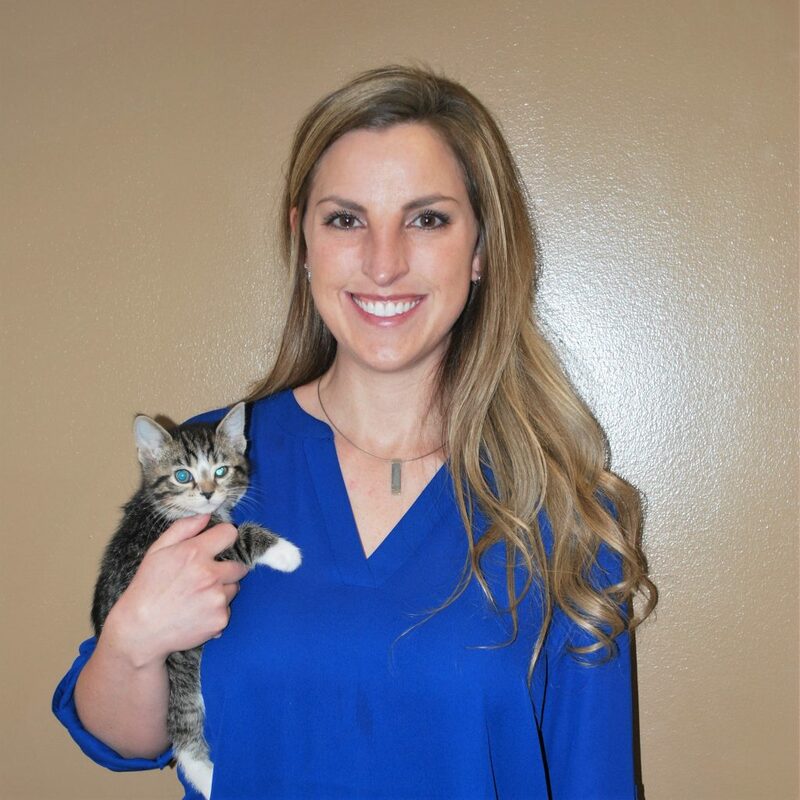 She started working for Animal Medical Center immediately after graduating and continued there after Kremer Veterinary Services purchased the business. Dr. Mutchler’s favorite thing about the veterinary field is that every day is a new adventure! She gets to share the joy of a family’s new pet, comfort those during the loss of their beloved family member and everything in between. She treats the animals, but is really there for their humans. Dr. Mutchler has a special interest in dentistry and orthopedics! She was inspired to go into the veterinary industry with an early love of animals which later matured into an interest in medicine and a passion to preserve and enhance the human-animal bond. Dr. Mutchler has an 11 year old Border Collie named Stealer! She is married to her husband Matt and together they have 1 daughter named Quinn. Dr. Mutchler enjoys watching Ohio State University Buckeyes football! In her spare time you can find her mountain biking, kayaking or jogging!